Groove 3 & Findremix present Timothy Allan Remix Contest! 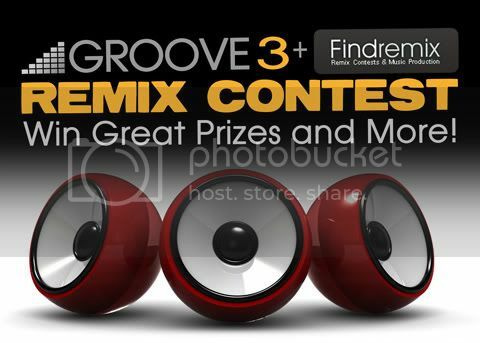 We are proud to announce official Groove 3 + Findremix competition. We have teamed up with Ohm Force, Camel Audio, System Recordings and Prime Loops to offer what we feel is one of the best remix competition opportunities out there. Will be three winners and big prizes for them: a release on System Recordings, full memberships to the training videos at Groove 3, plugins from Ohm Force, the incredible synth Alchemy of Camel Audio and 5 sample packs from Prime Loops! You know the deal, its a remix competition… Make a bangin remix and you could win stuff. You have until May 31st, 2010 to download the stems. Help us spreading the word and get a Prime Loops free sample pack! You know how much we appreciate your support, so for those who post the contest on any blog, forum, social network (Facebook, Twitter…) will receive an exclusive free sample pack by our partner Prime Loops! Just contact me with your link and we’ll send it to you! Check this amazing prize list! (1) Track released on Timothy’s upcoming Remix EP for soon to be released “Hotel Radio”. “Hotel Radio Remixes” is set to be released this fall by System recordings. Download the remix parts to “Bugger It” from May 1st – May 31st 2010. You can download the files here. Remix the track into your chosen style. All genres are welcome. Submit your remix to this competitions group at Soundcloud.com “http://soundcloud.com/groups/groove-3-remix-comp-1” or click here. File submission is subject to Soundcloud.com terms. Submitting a track signals agreement with these terms and conditions. The download phase begins May 1st 2010 and ends on May 31st, 2010. The submission phase begins on May 5th 2010 and ends June 5th 2010 at 11.59PM CST. The Judging phase starts on June 6th and ends on June 15th 2010. The winners will all be chosen by editorial review. Winners will be posted within 3 days of the final juding. Winners will be posted on Findremix.com as well as various publications by some of the additional event sponsors. In consideration of System Recordings agreeing to consider entrants to the Competition, each entrant hereby assigns to System Recordings a perpetual, royalty-free, exclusive, sub-licensable right and license to use, reproduce, modify, adapt, publish, translate, create derivative works from, distribute, perform, play, and exercise all copyright and publicity rights with respect to your entry worldwide and/or to incorporate your entry in other works in any media now known or later developed for the full term of any rights that may exist in your entry. Prior to any release, winner will be required to sign a remix agreement and liability release and, where permitted, a publicity release. In the rare event that all of the submissions are deemed “sub-quality” System Recordings reserves the right to not include a winner. Please submit professional quality product for consideration. All trademarks and logos are protected. All rights of the producer and the owner of the recorded work are reserved. Unauthorized copying, hiring, renting, public performance and broadcasting of the remix parts or resulting records or remixes or is prohibited. The competition is not open to employees or agencies of System Recordings, Groove 3 Inc, Camel Audio, Ohm Force, Prime Loops or Findremix.com. Upon request entrant will supply a stereo, 24 bit, WAV master file. None of the organizers or sponsors of this event, including but not limited to Groove 3 Inc, System Recordings, Timothy Allan, Findremix.com, Ohm Force, Camel Audio or Prime Loops shall accept any responsibility for any damage, loss, liability, injury or upset caused to or suffered by you as a result of entering the competition or winning any prize. They further accept no liability for any damage caused to any person’s computer or other electronic device relating to or resulting from downloading any materials, including so called computer viruses, in connection with this competition. This promotion is governed by the laws of the United States of America. thanx. this should be fun. Great Vondeck, thanks for join us! A Question, the contest finish at 11:59 31 may or 11:59 30 may? I just posted my contribution, it’s only my second time attempt at remixing a track so I hope people like it, I definitely have a lot to learn. Thanks for the submit @RegalPierot! Remix Contest: Timothy Allan « Remix Contests!! !